Are the Calgary Flames Building a Winning Team? Are the Flames Building a Winning Team? The Calgary Flames have made big strides in addressing organizational needs this off-season. They brought in a new head coach and added not one but two top-six forwards, James Neal and Elias Lindholm, signing both to long-term deals. The Flames now look more like a team that can return to the postseason in 2018-19. The way the roster stacks up, on paper anyway, draws an intriguing comparison to another NHL franchise that built its team in a similar way, around similar core pieces, and went on to win three Stanley Cups between 2010 and 2015 — the Chicago Blackhawks. 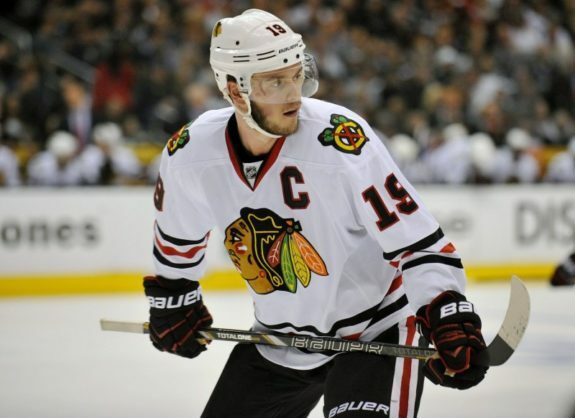 Every championship team needs a bona fide top-line center and Chicago Blackhawks captain, Jonathan Toews, is just that. 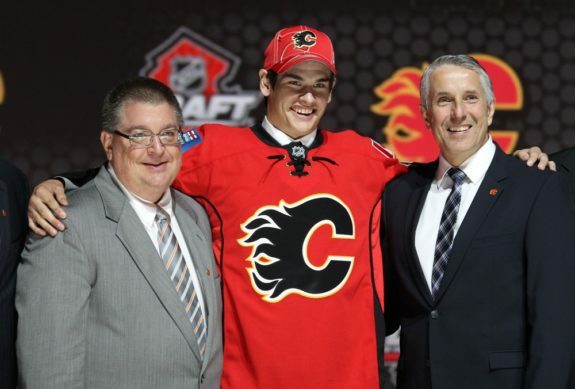 Sean Monahan, the Flames’ top-line center, has played five seasons in the NHL. 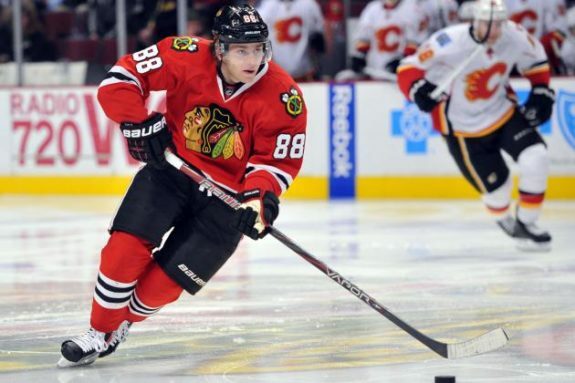 How do his numbers match up with Toews’ first five NHL campaigns? Toews and Monahan played in over 350 games through their first five seasons, with the majority of those games spent on the top line. As a rule of thumb, a top NHL center should be consistently above 50 percent in the face-off dot. Toews has never dipped below that mark in his career and while Monahan roughly averaged a 48 percent face-off rating in his first two seasons, he has consistently stayed above 50 percent in the last three. In their first five seasons, Toews and Monahan recorded 144 goals and 138 goals respectively. Neither player scored less than 20 goals in a season and both recorded 30 or more tallies twice in that span. Both averaged a shooting percentage hovering around 15 percent and while Toews has the edge in that category, Monahan recorded four more game-winning goals (30) than Toews (26). A glaring difference between the two, however, comes on the defensive side of the game. Toews posted an impressive plus-87 in his first five seasons while Monahan is a disappointing minus-16. It’s a vital area that needs improvement from the 23-year-old Flames center. Toews’ leadership, intangibles and winning pedigree are almost unrivalled but it’s positive to see Sean Monahan consistently growing into an elite player with each season. When it comes to forwards Patrick Kane and Johnny Gaudreau, the immediate comparison is their size. Kane and Gaudreau each measure at under six-feet tall but are packed with skill, speed and dynamic playmaking ability, making them two of the most exciting players to watch in the game today. It’s fair to say that the success they’ve achieved in their careers has paved the way for a new generation of smaller, skilled forwards. Both players grew up in the eastern United States, as Gaudreau hails from Salem, NJ, and Kane from Buffalo, NY. Gaudreau played one game in his first year, scoring his first NHL goal in the last game of the Flames’ regular season in 2013-14. Since then, he’s been a mainstay on the roster and has finished four full NHL seasons. Excluding that first season for now, how do Kane and Gaudreau’s first four full campaigns compare? Gaudreau and Kane both recorded over 300 games played in their first four full seasons. Kane was almost a point-per-game player from the outset of his career, compiling 303 points in 317 regular season games, while Gaudreau has recorded 287 points in 311 games so far. In terms of goals scored, Kane has a slight edge with 103 goals to Gaudreau’s 96. Gaudreau tips the scales in game-winners, with 17 over Kane’s 16, but it’s hard to argue against who has scored the biggest game-winner of the two. For any successful franchise, the road to the Stanley Cup starts with the draft. Bringing the right players into the mix, introducing them to the system early in their development and immersing them in the team’s culture is key to building a cohesive group. While predicting what a player will develop into can be hit or miss, both the 2009-10 Blackhawks and the 2018-19 Flames have hit the mark with the number of roster players that were selected in the first round. When the Blackhawks made a push for their first Stanley Cup in 49 years, they boasted nine first-round picks in the lineup. Of those nine, five were drafted by the organization while the rest were acquired. Similarly, the Flames have nine first-round picks on their roster, five of which were drafted by the club. Of those first-round selections, both the ‘Hawks then and the Flames now have five players selected in the top 10 of their draft class. Marian Hossa etched his name in the NHL record books when he appeared in the 2010 Stanley Cup Final with the Blackhawks. He had appeared in back-to-back Finals with two different teams prior to that and is the first player in NHL history to reach the Final with three different teams in consecutive years. Unfortunately, he came up empty-handed in his first two attempts. First, in 2008, with the Pittsburgh Penguins, who fell to the Detroit Red Wings in six games. Then, in 2009, as a member of the Red Wings, Hossa watched his former Penguins teammates hoist the Cup at the end of a hard-fought, seven-game series. Only when he landed in Chicago the following season would he finally get his turn to raise Lord Stanley’s mug. He went on to win two more Cups with Chicago between 2010-2015. Flames forward, James Neal, who signed a five-year, $28.75 million deal with the Flames on July 2, 2018, has appeared in back-to-back Cup Finals in the last two seasons with two different teams. Neal was traded to the Nashville Predators from the Penguins on June 27, 2014 and met the Penguins in the 2017 Cup Final, losing in six games. 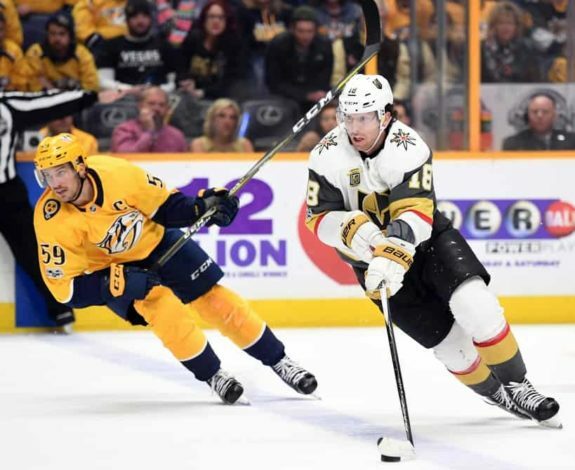 Neal was unprotected by the Predators in the 2017 expansion draft and was quickly claimed by the Vegas Golden Knights where he was a key contributor to the Golden Knights’ magical run to the Final in 2018. The run ended in five games, as Vegas bowed to Alex Ovechkin and the Washington Capitals. Now with his third team in three years, could Neal be the next Hossa? It all looks good on paper but as we know, the game is played on the ice, but the Flames have some scintillating symmetry with the Blackhawks’ championship model heading into 2018-19.